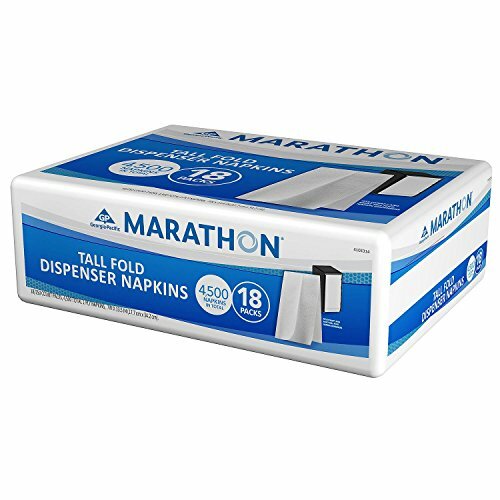 Marathon Tall Fold Dispenser Napkins are the perfect blend of quality and value. It's just the right napkin for limited-menu service operations like hot dogs, bakery, ice cream and convenience store beverage areas. The small business pack is the right size to help small businesses better manage their supply costs. Each cost-effective poly pack contains 18 inner packs of 250 napkins (4,500 total napkins) for convenient storage. Tall fold dispenser napkin, 7" x 13.5"